Jaffe has served as the Cocoa Y’s executive director since it opened in May 2004. It is part of the Central Florida YMCA, which formed in 1942 and boasts of three Y’s in Brevard County-Cocoa, Suntree and Titusville. The Cocoa BCC facility now sports more than 2,700 members. Among its features are cardio machines and programs; free weights and strength-training equipment; aerobics and cardio classes; a full aquatics program; an Olympic size pool; saunas; Weight Watchers programs; a full-size gymnasium; and youth and adult sports programs. The Cocoa facility was birthed through a unique partnership with BCC, which leased the property to the Y for just $1 per year. The college, a key player in Brevard County with its three campuses, also helped the Y to raise $1 million to renovate the facilities. Jaffe says the Y also has a strong partnership with the Brevard County School District, which has donated $150,000 to its capital campaign in return for allowing public school sports teams, including basketball, cheerleading and swim teams, to use the facilities free of charge. 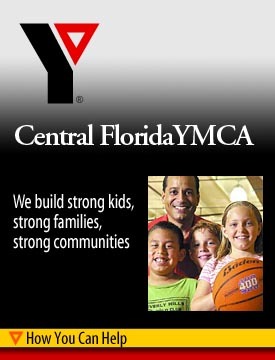 Another large donor has been the City of Cocoa, which provided $350,000 to help bring the Y to the Cocoa area. The usual joiner’s fee is waived for city residents. “It’s a good partnership with the city,” Jaffe says. Jaffe says the facility also is about to embark on its 2005 scholarship campaign, raising money for residents who cannot afford a YMCA membership. In 2004, about $38,000 was raised, and the goal for 2004 is $50,000. The Y also has a $1.8 million goal for the second phase of its capital campaign, which will involve renovating the pool to transform it into a championship-caliber aquatics facility that could potentially host state and regional events. Although the Y offers plenty for keeping the body in shape, its broader mission calls for intentional living in many areas beyond sweating off the calories and toning the muscles.